Should I Still Use Yellow Pages? 2. there are now online versions. Yellow page phone books seem to have been losing relevancy over the past decade or so. Dex’s own advertising recognizes that more and more often yellow pages are being used as doorstops and booster seats than finding a business. We thought for a minute and realized that we could use the phone book, call them up, and hopefully get a recording with their hours. We called this the “old fashioned way,” complete with air quotes and a funny voice. So, how much are people using the yellow pages nowadays? How many people are using the yellow pages to find and decide on using your business? More importantly, is it worth it for your business to pay to be listed in yellow pages? 3) Very few business owners believe customers find them using a yellow page phone book. Estimated percentage of customers who find me using a yellow page phone book. The conclusion: Business owners have clearly observed the shrinking relevance of yellow page phone books. As we continue to move away from printed phone books, online and mobile directories will continue to grow as the customer’s choice for local business information. I know that these results serve Yelp and come from an audience already using the Internet as a tool so the results can’t be projected to everyone. It’s also worth noting that the questions are based on more what I’d call perceptions than facts–what owners perceive to be the case, not hard data of leads and sales numbers–but it’s at least a barometer. That said, I think the study supports the idea that many of us simply don’t even think of the yellow pages as an option. 30 percent of respondents still rely on directories as their primary local business research source, despite a 3 percent decline from 2007 to 2008. 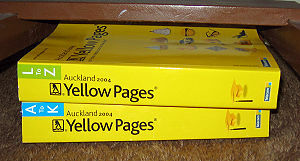 Traditional Internet Yellow Pages sites such as Superpages.com, YELLOWPAGES.COM, Yahoo! Yellowpages.com, etc. account for 60 percent of local IYP business searches. Local Search sites such as Google Maps, MapQuest, Yahoo! Local, etc. account for 40 percent of local IYP business searches. That’s 60% using Internet Yellow Pages and 40% using search engines as of 3 years ago. To me, that’s a compelling argument for still being listed with a phone book company, if they are giving you an online listing in addition to paper. I believe that phone book companies see this as well. Which is why if you own a business you’ve likely received a few dozen calls from them trying to sign you up for their new online services. 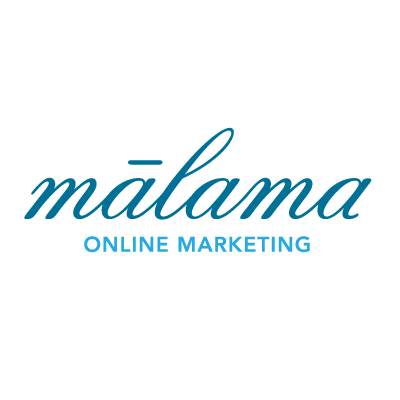 You also see it in advertising that focuses on being available online or in print. My conclusion is that because phone books offer online versions, yellow pages are still an important factor for many businesses. If you get listed in the physical book, you’ll be in the digital directory as well. You’ll still need to decide if paying for a listing is worth it though. You should be sure to list your business in massive, massively used, free directories like Google Places, Bing Local, Yahoo Local, CitySearch, and Yelp in addition to any local online directories you’re aware of. Bottom line, you need your business to be listed where eyes are looking for it. Aaron, I find the on line data from Comscore is ambiguous because of the use of percentages of respondents. The actual charts have the data broken down by age groups. There is no explanation given as to how the numbers of respondents in each age group compares to the numbers of the US population in each age group. Without knowing the actual numbers of respondents in each age group you have no way of knowing the relevance of the percentages given in the charts. The actual numbers of yellow page users could be way different than the percentage numbers given. For example 60% of 3000 respondents is a much mightier number than 60% of 1000 respondents. Until they publish the actual number of respondents in each age group, there is no way of putting any meaningful interpretation of the percentages. John, thanks for your comment. I agree that the ComScore report would benefit from more explanation and age group detail. I guess I’m trusting that an analytics giant like ComScore only puts up research that was well done–random sample, good sampling size, non-leading questions, not response-biased, etc. If the research is good, then as long as there are more than a couple hundred respondents in each group, applied statistics says we can project the percentages found to the entire “population.” The only thing that would change between 1000 and 3000 respondents would be the margin of error (say + or – 5% instead of + or – 3%). Now, if the number of respondents in any of the age groups drops below a couple hundred, then the margins of error could grow to point where differences between groups become ambiguous and not statistically significant. Until we see new, more thorough data on this topic, though, I think ComScore’s study is a good starting point.